My kids LOVE Pirate Booty. I think all kids do. I have bought them and many times and they get eaten up really fast. I had never known that the Pirate Brands had other lines besides their pirate booty. I had the opportunity to review their potato chip line. 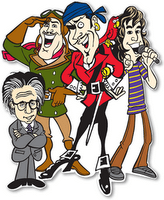 “The Pirate Brands story began in 1987 in Sea Cliff, NY with our founder, Robert. 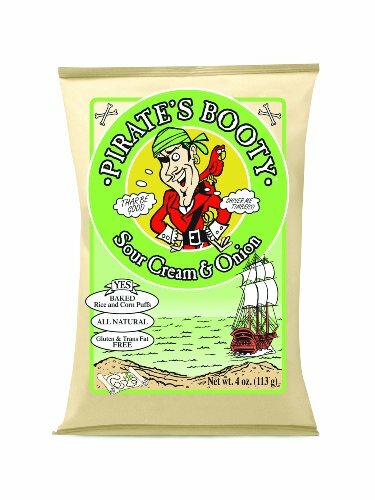 Robert, a snack industry renegade and father of two, scoured the high-seas for a tasty treasure that would inspire people to live a little healthier and have fun while doing it. That’s when Robert discovered the cheesy rice and corn puffs we know today as, Pirate’s Booty. Thanks to Robert and his tasty treasure, no longer do you have to eat “cheese” puffs dusted with neon orange powder with incomprehensible ingredients. When you buy Pirate Brands products, you are getting wholesome goodness without the guilt. Having three kids, I am always looking for healthier options of their food choices. My kids LOVE chips but I don’t buy them very often because they are so unhealthy. With Potato Flyers, you get a delicious chip at 1/2 the fat. I was very excited to be able to learn about their product and try their chips. My kids were especially excited when we got the box in the mail. Look how awesome this packaging is! This was a review that I was not allowed to do alone. 🙂 The whole family, all five of us, sat around the table and we each tried all four flavors of chips. The kids thought this was so much fun!! I didn’t have to feel guilty about doing this because I knew that it was a healthier option than regular chips! We received four flavors to try. We really liked the sour cream and onion chips. They were probably my favorite. They are very light and very crispy and have such a delicious flavor. The sea salt and vinegar was a stronger flavor. It really tasted a lot like balsamic vinegar. My daughter didn’t like this one as much because of how strong it was but I thought the flavor was good. My son when picking chips, will almost always chose barbeque potato chips. They had a lot more of a smoky bbq flavor that makes it very strong. This one was my least favorite of the four, but a favorite among my kids. We really liked the original potato chips. The flavor was impossibly good. 🙂 I love how these potato chips are different than your typical potato chips. They are very light a crispy but the texture is different than a normal potato chip. I have found that I prefer a baked potato chip especially since they are healthier! 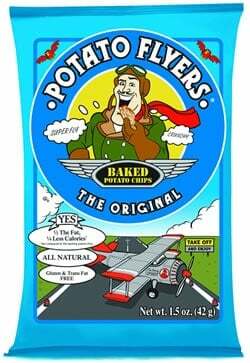 I highly recommend Potato Flyers Potato Chips! Want to try them out for yourself? 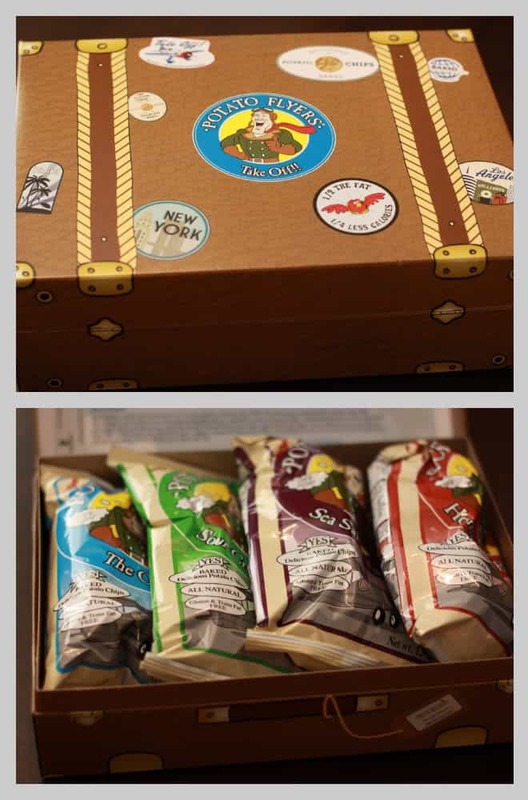 One lucky MomsReview4You reader will get a chance to win their own suitcase of potato chips! *Go to their site and come back here and tell me what flavor you would want to try! Giveaway ends 9/29/2010 at 11:59 (PDT). Winners will be chosen via random.org and will have 48 hours to claim their prize. Winner will be posted on blog – if an email is given, they will be contacted. Disclosure: This review is based on my own honest unbiased opinion of Potato Flyers. I received product from them to review. You may or may not agree with my opinion. Potato Flyers was not involved in the writing of this post.